How does the 2017 MINI Cooper compare to the original MINI? The original MINI Cooper is still probably one of the most recognized cars in the automotive industry. 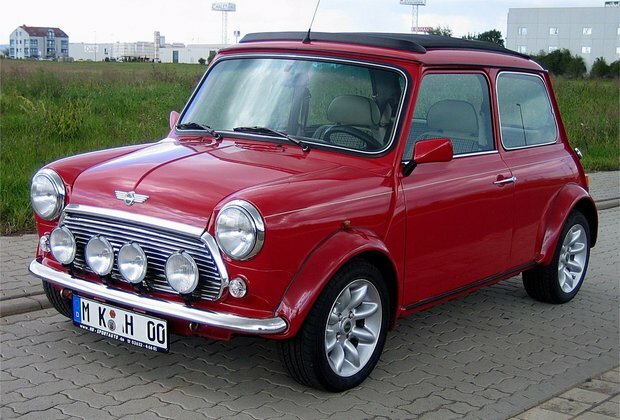 The original MINI Cooper is still probably one of the most recognized cars in the automotive industry. Small and able to sneak in everywhere, it represents the essence of the British automobile. When BMW decided to revive the MINI brand in 2002, several purists were not happy. Ultimately, BMW and MINI did their homework, and the re-born MINI quickly revived the brand while staying true to its origins. Moreover, the new-gen Cooper introduced MINI to a whole new generation of car enthusiasts, and it did it by adding a modern twist to a classic model while keeping the personality traits that remind us of that original MINI. It is obviously impossible to compare the original MINI with the new generation, but there are nevertheless some similarities between the two models. Let's take a closer look. The new MINI Cooper is one of the most fun cars to drive at the moment, but it is also one of the most agile. This means that in the city, you will never have difficulty finding a parking space, especially with its compact dimensions. There is nothing better than a MINI Cooper if we want to tackle a winding road. That was true at the time with the original MINI launched, and it's also true today. Stable, powerful and capable of responding to our every move, the MINI Cooper quickly becomes an extension of our hands. You feel like it is doing exactly what you want it to do even before you move the steering wheel. The original Mini still gets noticed wherever it goes. This is also true with the new MINI Cooper. Even though it has been on the market in its present form for some time, it is nonetheless still able to turn heads. To learn more about the new MINI Cooper 2017, contact us today at MINI Ottawa!